This might be the second peanut butter recipe I’ve posted this week, and do I care? Nope. I have a healthy, gluten-free carrot muffin arriving Friday to atone for my peanut butter sins. But for now, you’ll have to live with my addiction to all things peanut butter. This recipe actually came out of a sick day my son spent with me. Kids get mysterious viruses, especially in the summer. For the past couple of days, my son has been home, languishing on the couch like a Victorian-era heroine. He has his blanket, his books, his pencils and pens, and a bottle of cool water by his side. He’s pretty much been ignoring them all, not to mention avoiding all food and television. When they don’t ask for TV, I know they’re sick. To try and tempt him (and to gauge how sick he really was), I baked these bars. They’re a basic blondie filled with peanut butter chips and topped with a marshmallow fluff and peanut butter topping. If a kid avoids these sticky squares of goodness, you have further evidence that not all is right in his little world. The kids love Alexa. All three have been bugging her nonstop. She can’t respond to my girls because their little voices are too squeaky, but she understands my son. So he badgers her to tell him jokes, play him music, and asks her questions. They’re best buds. And he’s been ignoring Alexa for two days. Yep, sick. The upshot of my baking experiment is that nobody has really eaten these bars except me. My daughters are currently pretending to hate peanut butter (a shaft to their mother’s heart), the boy is sick, and my husband eats only gluten-free whatnot. So here I am, contemplating my existence while I polish off yet another chewy, pillowy-soft marshmallow peanut butter chip blondie. These bars were an experiment for a good cause, the whole see-if-he’s-really-that-sick thing. Turns out, he is. But I’m not, and I’m going to enjoy these as time passes faster and faster. In the face of scientific evidence that time actually does speed up as we age, what else is a girl to do? Preheat the oven to 350. Line an 8-inch square pan with foil, leaving enough to hang over the sides. Coat with cooking spray and set aside. In a bowl, combine the melted butter with the brown sugar. Stir until smooth. Add the egg and vanilla and stir again. Mix in the salt and flour until everything is incorporated. Fold in the peanut butter chips. Pour the batter into the prepared pan evenly. Bake for 15 minutes. Remove from the oven. 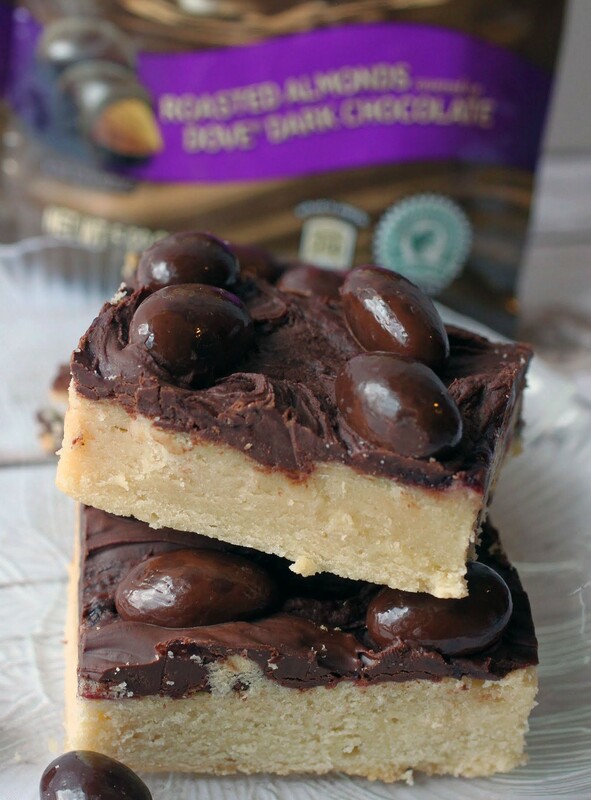 While the blondies are baking, make the topping. In a small bowl, combine the marshmallow fluff, peanut butter, and condensed milk until smooth. 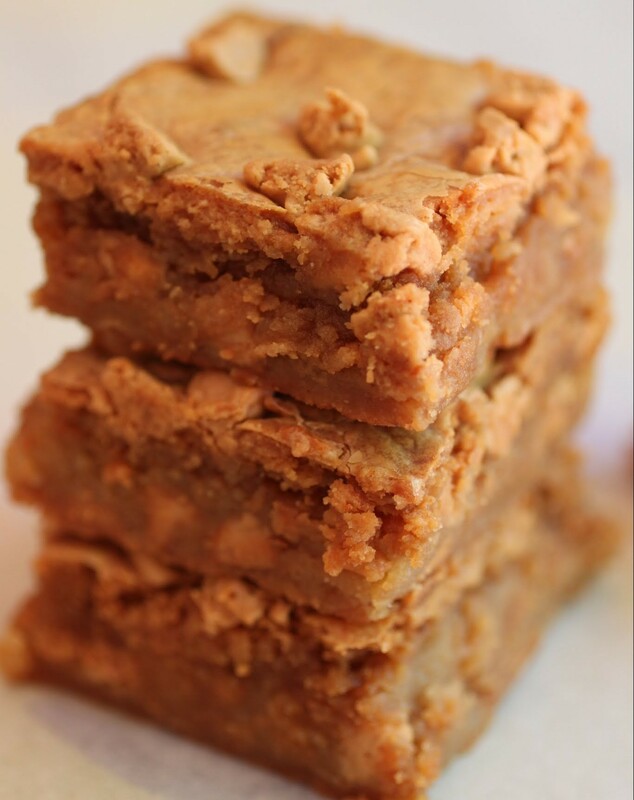 Carefully layer the mixture over the blondies and spread out evenly. Sprinkle the peanut butter chips on top. Return the bars to the oven for 20-25 minutes until the middle no longer jiggles and the topping is golden on the edges. Thanks, Medha! I’m a devoted bargirl! That’s actually a very good explanation for why time does speed up. Never thought of it like that before! These blondies look fantastic, Mir! I love the peanut butter and marshmallow combo. 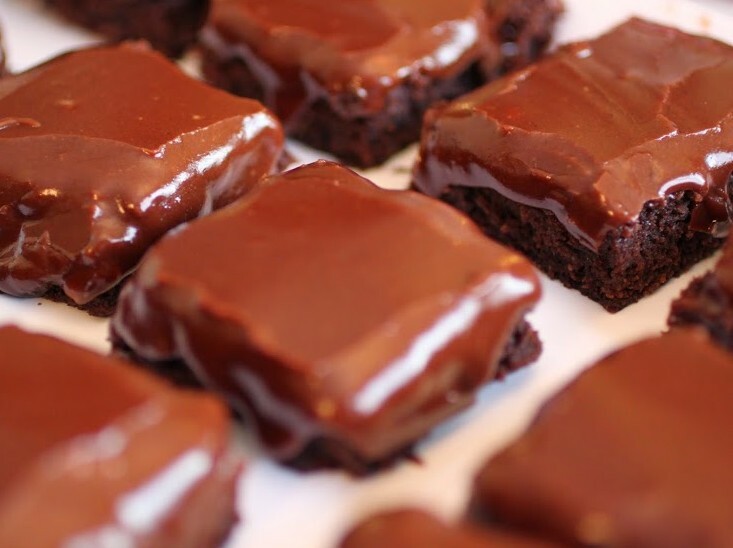 These look like little squares of perfection! I read an article like that a couple of years ago too, but it didn’t make me any less scared of getting older haha. These look epic – you can’t go wrong with a peanut butter and marshmallow combo. Mir, I hope your son feels better soon!!! sick kids are the worst! I feel so bad for them when they are sick. . and yes, from one mother to another, I can completely appreciate the experiment to see-if-he’s-really-that-sick .. and these bars?! I love peanut butter so I would be there helping you to polish these off. . peanut butter chips and that marshmallow topping?! love! and your daughters pretending to hate peanut butter is like my daughters, the only kids in the universe, who don’t like and won’t eat mac and cheese! Seriously, I don’t get it! Alice @ Hip Foodie Mom recently posted…Back to School with PackIt Freezable Bags + A Giveaway! Whenever kids go on a strike against kid food I get weirded out. Like, what kid won’t eat pizza? Or PB? Or chicken nuggets? Yep, mine. I’m a failure, Alice! My inner Nerd self is LOVING your nerd 411 on aging and time! Makes complete sense to me, thank you for shedding some light on that subject for me! Another thing I am loving is your peanut butter recipe rampage! So.Good! Keep ’em coming girlfriend! 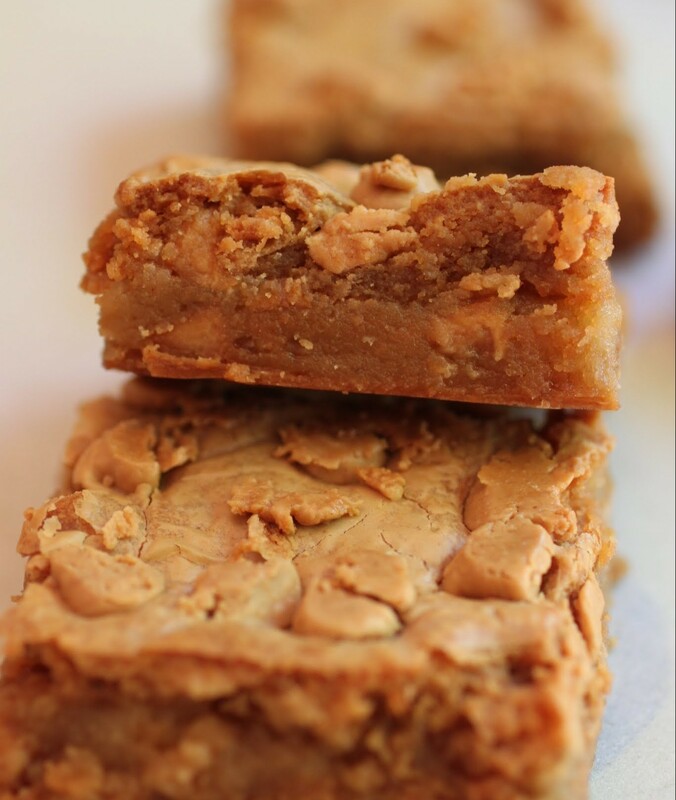 These blondies just sound incredible! 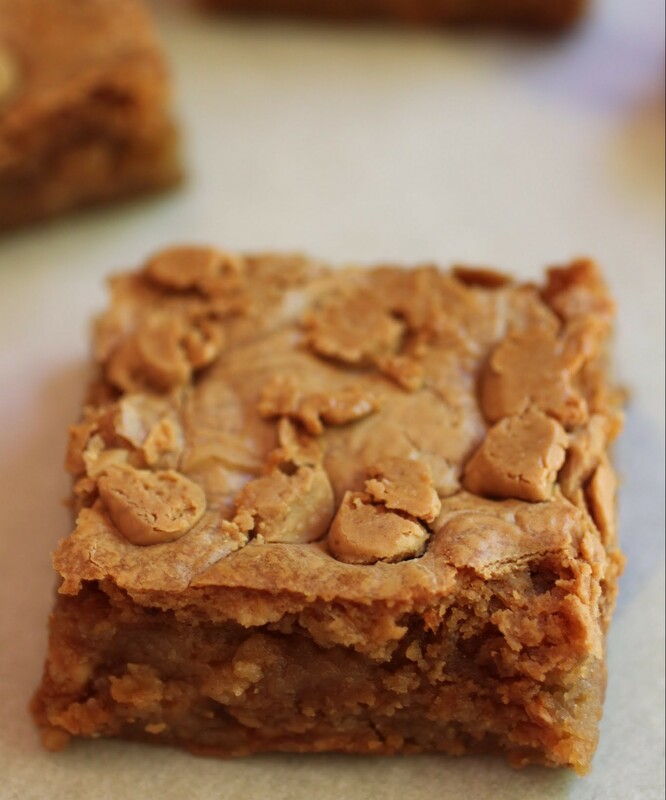 Peanut butter and marshmallow is SOOOO yummy together, but in blondie form??? OMG- Hand them over! ALLLL of them! Love Love LOVE! Pinned! Side note- I hope your son feels better soon! And I have never heard of an Amazon Echo- totally googling that now. 🙂 Cheers, girlie! Thanks, Cheyanne! Even though I just learned about your cocoa allergy, I am doing okay over here. 🙂 And I’m glad my nerd self doesn’t weird out out. The geeks shall inherit the earth! Um, wow I’m so glad you just explained to me why the older I get the faster time flies, that makes perfect sense!!! Sorry to hear your son is sick! If he wasn’t able to absolutely devour these (let alone eat even one) he must be feeling terrible! Hope he’s feeling better soon! I don’t mind your PB recipes Mir, keep them coming! it can never be enough! love these blondies! You’re a girl after my own heart, Manali! oh my gosh! I love the name of these so cute! 😉 they look SO good too ! 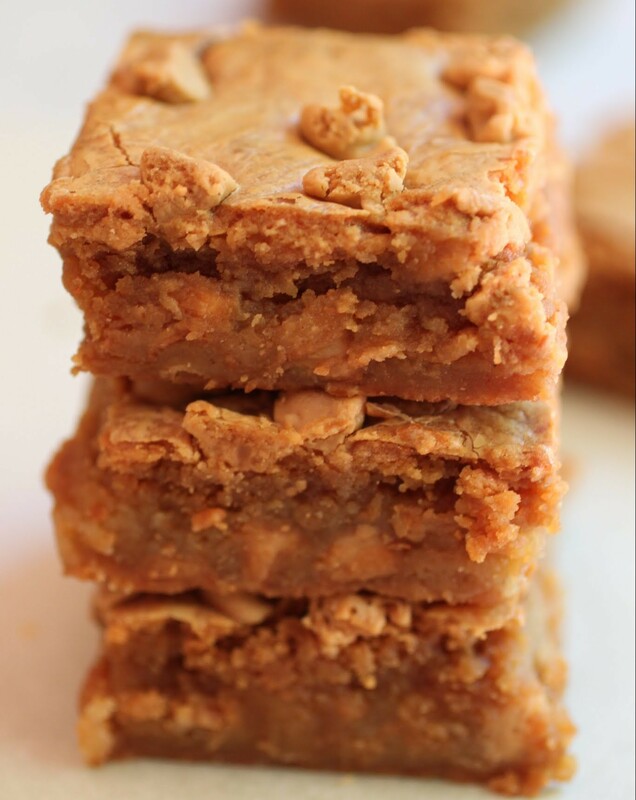 I love blondies and with PB YUM! Thanks, Michele! I do like cute names. Oooh, let me know if you do, Erin! Come to mama! I want these in my belly now! They’re in mine and life is good, Jocelyn! I’m loving your nerdy explanation of time passing. That sounds like an interesting article. I’m also loving your fluffernutter blondie business. 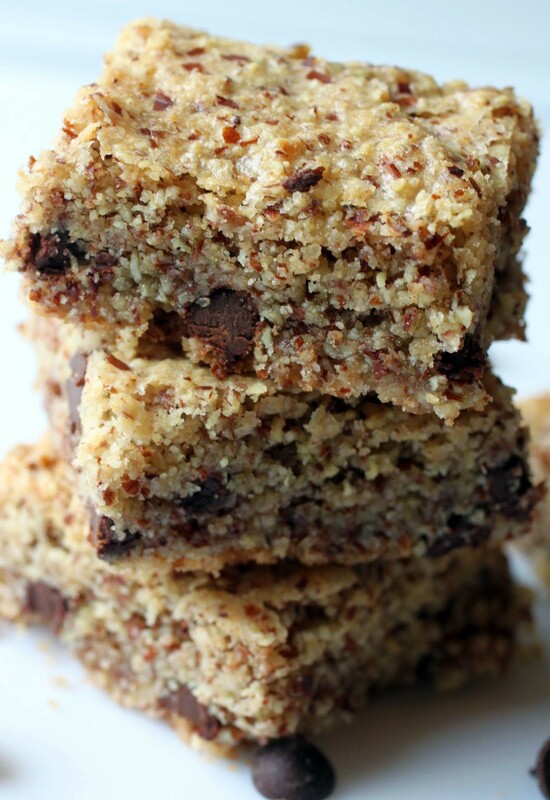 These blondies sound like an awesome flavor bomb! Sorry that your little dude is feeling under the weather. I hope he’s feeling better soon! He’s much better, thanks! Now I’m down for the count. Life of a mom! That actually makes so much sense. And I can relate to that phenomenon … should I be comforted that it will only get worse as I get older?? Um there is no such thing as a peanut butter sin. Heck, someone could have a peanut butter only blog and I’d be happy. 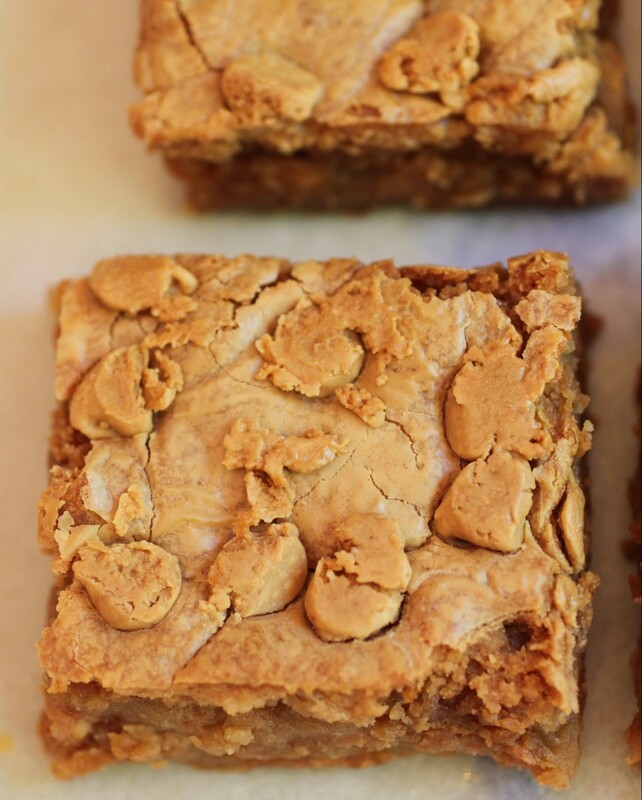 These blondies are the stuff of weekends and coffee dates and all the wonderful things. I’d like some for breakfast, please and thank you! If you find it comforting, then great! I personally just find it frightening. I wish I had a PB only blog! Time definitely does seem to speed up the older we get, but it definitely makes sense as to why now! I don’t know why I never thought to make fluffernutter blondies, but these are incredible! Thanks, Danielle! It does make sense. Doesn’t make me happier, but it’s interesting anyway! You could post ALL PB recipes and I’d be happy! And that’s fascinating about how time feels. I never thought about it that way! Me, neither. But I’m a nerd, Dorothy! And time DOES speed up. I’m not a fan!